Isn't it enough to just go to a church? What does it mean to join a church? Is it something for others but not for you? If you are a member of your church, how should that affect your life? If you have ever wondered about any of those questions, this book is a must-read. We live at a time when 'organised religion' is looked on with suspicion if not horror. But within the 130 pages of this short book, Jonathan Leeman shows that church membership is expected by the Bible and absolutely vital. There is much here for long-time church members as well as those new to the concept. 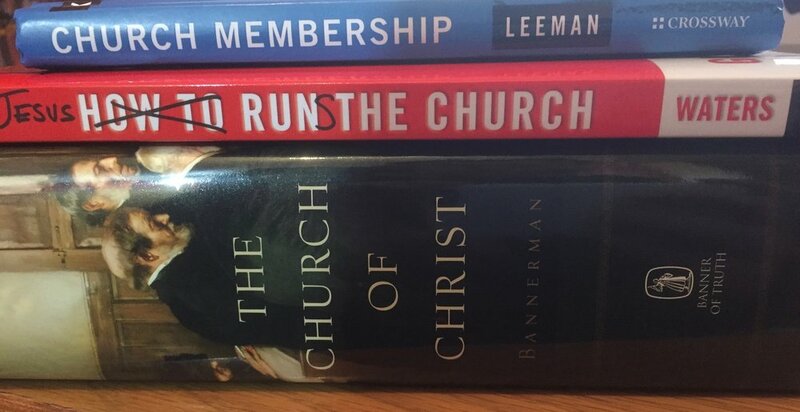 Most church members would never imagine that the local church should affect decisions such as where to live or whether to take promotions at work - but Leeman shows that it should. Even in churches where people could argue the Biblical case for church membership, members often don't have the slightest clue how they should interact with those under church discipline. Leeman here addresses that issue too. As he's coming from a Baptist perspective, we wouldn't go with absolutely everything in the book, though Leeman himself acknowledges that in the New Testament 'Christians are ordinarily united to individual but interconnected churches' (which sounds a lot more like the Presbyterian position than the Baptist one!). However those minor disagreements don't detract from an absolutely brilliant book. Those wanting to read more on what the church is and how it should be run should check out Guy Waters's How Jesus Runs the Church (150 pages) or, if you're really keen, James Bannerman's The Church of Christ (1000 pages - though a great abridged version is also available).